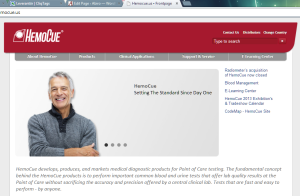 HemoCue provides tabletop medical diagnostic products for point of care testing sold worldwide. 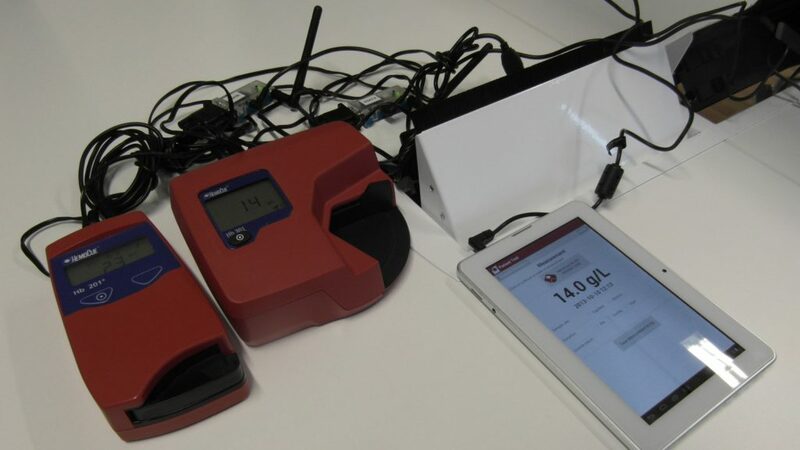 Abiro specified requirements for, estimated work effort of, designed, developed, verified and documented a prototype Android application for collecting measurements from HemoCue equipment and sending those measurements together with operator and patient/donor data to an HL7-compatible service. The work also involved finding the best solution and products for wirelessly communicating with the applicable HemoCue equipment (that only have serial ports), as well as instructing HemoCue staff in Sweden and USA in using the application. Specification work was done for a complementing server solution that would aggregate measurements from many patients and operators, as well as communicate with other servers via HL7 and proprietary protocols. The assignment was handled via Netville AB, that assisted with design work and provided workspace. A month during Q2 2013, with some further specification and feature work done during the Autumn. Two weeks during Q1 2015, adding support for sending patient data and measurements via HL7, as well as improving the user interface, etc.